“But what?” Nine asked sharply. Ten looked at him. He was holding in a lot of emotion. And no wonder. “He has my BABY!” Nine shouted and the tears he was holding back pricked his eyes. “And that makes her more important than my son?” Ten answered, shocked by the way Nine had spoken to him. “You go figure,” Nine retorted. Nine looked steadily at his other incarnation. He knew he had behaved stupidly and implied some cruel and unnecessary things, and he was sorry for it. “I know,” Ten said. He almost changed his mind because he really wasn’t sure Nine could hold it together on his own. But it WAS better this way. Nine stepped towards him. There was an awkward moment when he wasn’t sure if they should hug or shake hands or something in between. Then Nine turned without a word and went to the door. He stepped through into his own TARDIS and a few moments later they were travelling separately. “Are you there?” Ten asked telepathically. It should have been possible to reach each other mentally after all. He couldn’t. He sighed and turned to the console and made sure his TARDIS at least was fixed on the trail of The Master’s fiendish machine. The signature was distinct in the vortex. The jury-rigged machine gave out the strangest energy readings. They were playing hell with the vortex. He manoeuvred around an ion pocket and hoped Nine saw it in time and didn’t get caught up in it. Those things scrambled navigation. They were going backwards in time. He could tell that much at least. But they had already PASSED the 17th century. They passed 1066; they sped past the point where Humans marked the years as AD and slipped into BC without a blink. The Doctor started to get worried. At a definite point in history this planet was a super-heated ball of magma and metals and trace elements that had to cool enough to be a planet, then it had to have an atmosphere before water molecules could form in it and fall as rain, filling the lower parts and making oceans, rivers and lakes. If The Master’s uncontrollable machine didn’t stop before the no-atmosphere period of Earth’s development…. But it had stopped. He saw the trail, like a contaminant in the vortex, like a busted engine trailing an oil slick, end abruptly. They had materialised somewhere. The Doctor locked onto the time co-ordinate and got ready to follow him. He was fairly sure he would land in the same era, but he wasn’t sure how close he would be to them. Susan woke and resisted the urge to scream as she did every morning for the past month. She shivered with the cold and pulled the animal furs closer around herself and Vicki. This was only September by The Master’s reckoning, yet it felt colder than January in her own time. He had informed her that global warming in her day had meant she had no idea about REAL cold and added that he doubted she would survive the winter when it kicked in. He said it with a coldness in his voice that was icier than the weather and chilled her to the bone. She wouldn’t survive unless he helped her. And his conditions for doing THAT were unacceptable. “Mummy?” Vicki murmured before she opened her eyes. When she did, she remembered where she was and her big brown eyes filled with tears. Susan hugged her. Surrogate parent to Vicki was a role she had done her best to fulfil in the very trying circumstances. It was a bit of a shock to her to discover that the tribe considered it perfectly normal for her to have a child of nine years of age. She would have been TEN when Vicki was born. She could only presume that they THOUGHT she was a LITTLE older than she actually was. Twelve, surely. That would just about be physically possible. The morality of it didn’t signify. The life expectancy here was thirty at the best. Childhood was brief and vulnerable. Life was harsh. When she learnt about early man in her school history she never really appreciated how awful the life was. She almost wondered in these past weeks what was it that made mankind keep going, instead of curling up and dying from the effort. There must be something about our species, she thought. We’re not as puny as The Master thinks we are. “Maybe my daddy will come today,” Vicki said. She said that every day. It was the hope that kept them BOTH from giving up. Either of them would be a miracle. How could they possibly find them? But they clung to the hope. The Doctor flipped the cover on his mobile phone and dialled his counterpart’s mobile. He had tried the TARDIS phone but it kept bouncing back to his own one. It was having trouble calling its alternate self. “Where are you?” he asked when he finally connected. Ten swore in Low Gallifreyan. But his attempt at lightening the load only earned him a tirade of choice Low Gallifreyan. His counterpart was not in the frame of mind to accept jokes. His little girl was in danger and HE couldn’t be there to help her. Nine’s reply was softer. And Ten had the feeling he believed him. But he was still a man experiencing the worst torture any man could go through. Maybe there was a reason why he had been single for most of his thousand years. Family were a weapon in the hands of the enemy. A weakness they could and would exploit. Then he thought about the son he had fathered on that beautiful tree-covered planet where the woman he loved dwelt. He thought of the mother of Nine’s children, whom HE had loved and lost. And he knew neither of them had felt so alive, and so glad to be alive, as they had these past years when they had something in their lives apart from endless wandering in the TARDIS. They needed family. It was WHY they lived. She was used to the SMELL now. When they first arrived in this place it had made her gag. The caves stank of sweat and dirt, blood and untreated animal skins. Everyone had foul breath. She couldn’t bear any of the tribe to come near her. After a month wearing the same clothes, now supplemented by skins and furs to keep her from freezing, she probably smelt just as bad. That’s why it didn’t bother her any more. She looked at her hands as she prepared deer meat for cooking over the smoky fire. They were stained with deer blood and general dirt. Her nails were broken and dirty. She wondered why they didn’t get food poisoning. She was sick of deer meat. But there was nothing else to eat. Even that wasn’t certain now winter was setting in. She noticed that not all the hunters who went out came back with food. The deer were getting scarce. “I hate meat,” Vicki complained as she passed her some of the cooked deer meat. It WAS disgusting. It was never possible to completely cook it through on the fire. It was always burnt on the outside and nearly raw on the inside and she hated the taste. She had probably never eaten meat on its own in her life. Usually it would be in some sort of sauce or gravy or something of that sort. But there was nothing else here. Perhaps a few months ago there were berries to supplement the diet, but right now there was nothing but deer meat. “When you have eaten you can come and help me.” Susan looked up at The Master and tried not to concentrate on the disfigured half of his face. As much as she hated him, he at least spoke what she called ‘joined up English’. He was better company than any of the tribe, whose vocabulary was monosyllabic and mostly concerning food, apart from the time when they first arrived when the men had an argument about possession of the two new females and who should ‘have’ them. That one time she was grateful for The Master’s sinister abilities. He had insisted that she and Vicki were HIS possessions and had killed two of the men in unarmed combat to prove it. The rest he had somehow hypnotised into accepting them as a part of their tribe. It was a matter of self-preservation for him as well as for them. He was stranded here as much as they were. His horrible machine was broken. They were never even meant to BE in this time. He had meant to go FORWARD to a technological age where he could get parts to make it work properly. Instead they had been thrust backwards. That was an experience she never wanted to go through again. His time machine was something similar to The Doctor’s machine, in a loose kind of a way. It had a sort of console. But that was all it was. There was no ‘capsule’. He had made her and Vicki hold on to handholds on the console and then pressed something that made it fly through the vortex. There was a sort of ‘bubble’ around them that let them breathe, but they were exposed to the sight and the sounds of something that people were surely not meant to see and hear. It was like one of those nightmares about being in an unspecified scary place that it was impossible to escape from. But this had not been a nightmare. It had been real. And then they had stopped and a new nightmare had begun. The time machine had broken down very abruptly and they had found themselves in a small cave under the main living cave of the tribe. 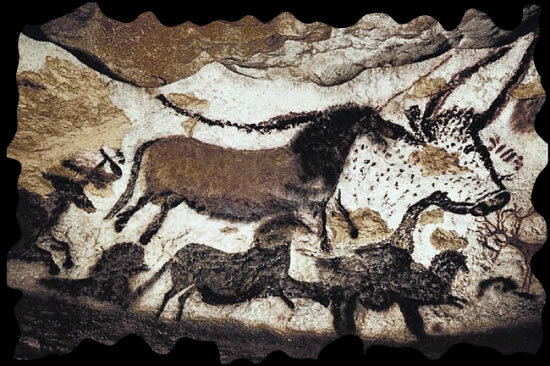 When they emerged into the main cave the first thing they saw was twenty sharp spears turned on them and if he had not hypnotised them all into seeing something other than three strangers in strange clothing, they would probably have been a tasty alternative to deer in a few minutes. “You should be more grateful, my dear,” The Master said, looking up from his work at the strange console. He didn’t answer. Not in words. The look in his eyes chilled her even more than the ambient cold of the cave. She wondered which would be the lesser evil, being HIS woman or that of the chief of the tribe. At least the tribesman was savage only because he knew no other way. But even if SHE could bear it, Vicki couldn’t. For Vicki’s sake, she might have to accept The Master’s proposition. She looked around at the little girl. She was sitting in the corner of the cave, wrapped in furs. She was very quiet. Susan went to look at her, but there was nothing wrong. She was just quiet. Susan wondered what was actually going on in her head. She knew that Vicki was not an ordinary child. She was The Doctor’s child. She was far more intelligent than her apparent age. There was nothing for her to do for the moment. The Master was testing a part of the machine. She sat down and lifted Vicki into her arms. The little girl hugged her tightly, and in her head she felt a calm over her. She knew Vicki was telepathic. She couldn’t communicate with her even if she tried. But Vicki could tell her things in other ways. Right now she was telling her it was all going to be all right. “Daddy will come,” she whispered in words. The Master turned a switch on his console. Susan felt as if her brain was trying to escape from her head and the cave actually shook as if there was an earthquake. Dust and small stones showered them and she looked up nervously at the ceiling, shadowy in the rushlight. “&@#&*£$!” The Master swore as he switched off the machine and the room turned to normal. Vicki and Susan both looked at him and blushed. Vicki knew low Gallifreyan anyway because The Doctor had taught her his native language. Susan didn’t know because the TARDIS never translated Low Gallifreyan. But she got the impression from the tone of his voice and the way Vicki had gasped that it was a VERY rude phrase. “Eg….er… wha….” They all looked around as one of the tribesmen stood in the cave entrance. “All that from a few grunts?” The Master replied sarcastically. “They don’t have many words, but their minds have pictures,” she answered. “Ugh… er.. am…” the tribesman said again and stepped towards the console. He put his hand on it and again the room around shuddered and shook and then there was a sort of dull thunk and it stopped, dead. The Master reached and grabbed him by the throat. “You ignorant, stupid savage, you’ve broken it. All my work ruined I…” He squeezed the tribesman’s throat until the man began to choke. To her relief he DID stop. The tribesman ran for his life. The Master turned to her as his raw anger subsided. “Daddy will come,” Vicki said again in a small voice. Harriet Jones was tending to the garden of the home she had lived in with her mother all of her life until Downing Street became her official residence. She was the first Prime Minister in a century not to use Chequers as her retreat from Whitehall. She much preferred to come home. And when she WAS home, she liked nothing better than to tend to the garden. She knew that drove her CPOs mad. Her garden was so open. A terrorist sniper could pick her off from a mile away, he had told her. But she still tended her garden while her mother sat under a sunshade dozing gently and waking now and again to say something that may or may not make sense. A sudden breeze blew loose compost in her face and she stood, brushing it away. She turned in the direction of the noise. Three of CPOs came running, their hands on their guns. She waved them away. Her mother opened her eyes and looked around. “The Doctor is here,” she said. Harriet wasn’t sure if that was a relevant comment or not. She might have meant old Doctor Mainwaring who came to see her weekly. Or she could have meant The Doctor whose blue police box was materialising in the middle of the dahlia bed. “Oh, my word!” she cried as the first Doctor she had known stepped out of the machine looking ruffled and upset. She reached out to hold him. She was sure he would have collapsed like jelly if she hadn’t been holding him. She walked with him to the garden table with a parasol over it and sat him down. She poured a glass of iced tea and he drank it almost automatically without tasting it. It seemed to help. He opened his eyes fully and recognised her. “He… I.…” He tried to speak but it was all too much. A country garden in the sunshine, iced tea, civilisation. It was too cruel to pitch him from the vortex into something so NORMAL while the abnormality of the situation gnawed at his insides. He burst into tears. Harriet looked at him in astonishment. The Doctor was the bravest, most incredible man she knew. The last person in the universe she expected to break down in such a way. She hardly knew what to do. Ten fastened the laces of a pair of strong boots and buttoned his long coat tightly. He thought he was ready to face the cold. He stuffed two warm coats into a backpack and brought them with him. The smallest one was still way too big for Vicki, but it would keep her warm when he found her. He stepped out of the TARDIS and walked forward. He turned and looked at it. The blue box was a stark contrast to the desolate landscape it stood in. It was something between grassland and tundra. The vegetation was scrubby and thin, but only because it was winter, not because the ground was still permanently frozen. In the brief summer it would probably look like a parkland. It was Flydale. Or it would be in a few thousand years, anyway. They had moved in TIME but not space. At least only a mile or so. The village would be further down the valley. He was somewhere between the great cave and where the Flydale colliery was. He was standing on the coal seam that was the reason the village came to exist in the early industrial era of Britain. The mines, he recalled from Harriet’s website, began where the natural cave system that extended from the Great Cavern ended. 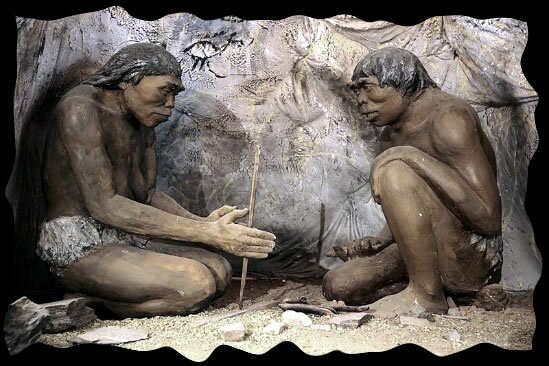 In the Upper Palaeolithic era, the history section of the website had said, cave dwellers made their shelter from the winter cold in those caves. Between cavemen, miners and in latter days, recreational cave exploration, Flydale folk had always had a connection with the subterranean world. Troglodyte, from the Latin meaning to enter the cave, was the word for cave dwellers. In the late 20th century it was a derogatory term for backwards people. He allowed himself a chuckle as he realised Harriet’s website writers were calling her constituents Troglodytes. He recalled there was a page about how the University of Leeds were planning a summer field trip to open up hidden caves in hope of finding evidence of the cave lifestyle. He snapped his mind back to the present and glanced at the portable lifesigns monitor that he strapped to his wrist. The cold was affecting it, and so was the coal seam. It wasn’t as bad as lead for blocking signals, but it did make the monitor nearly useless unless he was right on top of the lifesigns. It was probably ALSO the reason he couldn’t get a mental connection with either Vicki or – at worst – with The Master. They must be in the caves. They would die out here for too long. “No,” he told her. “It was always inside you, Harriet. The aftermath of the Slitheen plot gave you the opportunity. You took it. And good for you.” He smiled a little brighter as he remembered. It felt so long ago now. It WAS in his own personal time. Just over four years in Harriet’s own time. Pretty soon she would have to fight an election on her own merits, not just because the Prime Minister was dead and shoes needed to be filled. Then, when she won again by a massive majority she WOULD start to realise she WAS a real leader. And then she would really make a difference. For now, her steady common sense, the level-headed, sensible, middle aged spinster who had cared for her mother when others her age were living ‘lives’ was holding onto his sanity. Inside his head he was screaming still. But she held him together. That was the thing, of course. COULD he trust his own alternative self? Was it even about trust? He remembered what Ten had said earlier. Biologically she was his baby, too. His response had been anger, even a little jealousy. He resented that it was his other self who was there at the sharp end, looking for Vicki. He resented that it would be him who would find her, who would comfort her. He resented that she would be grateful to him for rescuing her. He felt jealous that she would remember that it was the OTHER man who found her and maybe she would wonder why her own father DIDN’T come for her. She might blame him for letting her down. But it was all rubbish. As long as she was safe it didn’t matter if Santa Claus came by on his sleigh and rescued her. Harriet put her hand over his gently. His eyes registered his gratitude to her. “The waiting is the hard part,” Harriet’s mother said. The Doctor and Harriet BOTH looked around at her, wondering if that was relevant to his situation or just a random comment by an old lady who didn’t always make sense. It occurred to Susan that she and Vicki were talking about two different men. The same man - but different. From the point where their lives diverged, Vicki’s father had known love, joy, fatherhood, peace. HER Doctor had continued to struggle against the universe’s evil, mostly alone. It had to affect their concept of mercy, of compassion. She wondered, in fact, if HER Doctor WOULD help him. She wondered which of them would come for them. She couldn’t imagine a circumstance that would stop Vicki’s father reaching her. But HER Doctor wouldn’t let her down either. Maybe they would both come. Then The Master would REALLY know trouble. The Doctor traced the entrance to the cave system. It wasn’t much more than a hole in the ground leading into a tunnel that sloped steeply down. He moved stealthily, not knowing what to expect. The tunnel ended in a ledge about six feet above the large cave. To the left it sloped down again to the floor but he was in the gallery looking down. There were about thirty cave dwellers there. They were agitated. Their proto-language was obvious. One of them shouted something abrupt before he stomped off towards the cave entrance. His spear was pointed down and he wasn’t looking for trouble. The Doctor figured even cavemen popped out to the loo. This one didn’t get there. The Doctor stepped back into the shadows of the cave and waited. He sent him to sleep with a gentle pinch on the neck taught to him a long time ago by some very peaceful monks who were curiously good at unarmed combat. He bent over him and put his hand on his head as he probed his mind. Even educated and sophisticated people, of course, tended to think in pictures. The difference being that they had written words to go with the pictures. The picture thoughts of the caveman were enough for him to know that he wasn’t going to reach Susan and Vicki on foot. They were, according to the memories of the sleeping man, in a deeper cave, beyond this main one which was full of men and women with sharp spears. And they were with The Master! Susan noticed Vicki’s small, quiet gasp of astonishment, and she felt her two hearts beat faster. She looked at her face and saw her concentrating hard and guessed she was talking to somebody telepathically. The Master looked around from where he was standing by the cave entrance. He looked suspicious, as if he knew Vicki was up to something. Distraction, Susan thought. She stood up and went to him. She knew of only one way she could possibly distract a man. The tried and trusted way of women everywhere. He looked surprised but not unhappy. He grasped her head, pulling her rather roughly, and continued the kiss. Susan closed her eyes and hoped Vicki wasn’t going to make this a long conversation. Vicki was an advanced child in most respects, but her vocabulary and her understanding of the world didn’t quite reach to what was happening between Susan and The Master right now. She sent him a visual image of it. The Doctor felt sick that she had to resort to that. But he understood. She did so. He fixed the co-ordinate in his mind. His hearts swelled as he heard those words. But he had no time to dwell on them. He turned and began to run. Susan pulled away from The Master’s embrace. He tried to pull her back. “Very well,” he answered begrudgingly. She went to Vicki and cuddled up to her. The Master turned and went back up the passage towards the main cave. Suddenly he came running back. “Vicki,” Susan said. “Get behind me.” She backed into the corner where they had been sitting, the bar at the ready. Vicki, though, didn’t stand behind her. She stood in front of her, putting her hands either side of her head as if concentrating on something. Susan felt the ground beneath her shake. She saw dust and small stones fall from the roof of the cave near the entrance. Then it was larger stones and chunks of rock. She knew Vicki was doing it. She was closing off the cave from the angry tribe by the power of her mind. “What are you doing?” The Master screamed out when he realised. “You’ve trapped us in here.” He came towards Vicki, his hand raised as if to strike her. Susan came between them and without even thinking about it, she struck him around the head with the piece of metal. He fell like a stone. But he didn’t fall onto the cave floor. He fell onto the mesh floor of the TARDIS console room. Vicki and Susan looked around in shock as they realised The Doctor had materialised it around them. He looked at them, then the unconscious Master. He reached and picked up the sonic screwdriver that had fallen from The Master’s hand. “I could always use a spare,” he said, pocketing it. “Come here, quick. Take a hold of the console.” They both did so. The Doctor bounded around to the drive control and initiated a dematerialisation. Susan was startled to see The Master disappear from the floor. Susan thought about the feel of his mouth kissing her. She looked down at her horrible, dirty, rank smelling clothes and as bad as they were, the remembrance of him touching her, his hands on her, was the dirtiest thing of all. She nodded slowly. And made a decision. The TARDIS was materialising when they were finished and returned to the console room with clean clothes and very pink, clean faces. The Doctor smiled at them. He held her hand until they stepped out of the TARDIS. Then she broke free of him and ran to her daddy. He had started to cross the lawn before the TARDIS was fully materialised, then he had stopped, anxiously, almost prepared for Ten to be alone and with the worst news for him. As soon as he saw the child he ran again and snatched her up in his arms. Ten put out his hand to Susan as she stepped out and they walked towards the father and daughter slowly. “She takes after the brave girls I named her for,” he answered. He looked at Ten. He opened his mouth to speak, but no words seemed enough. Susan looked at both their faces, and she knew there were other ways to communicate that said far more than words. Nine turned back to look at Harriet as she stood by the table. He didn’t need any words with her, either. Susan could have kissed her. Harriet’s kitchen yielded more than cake, and a happy tea party ensued, the nice food driving away the taste of charcoaled deer meat from their taste buds and the sunshine driving away the bad memories of dark, rancid caves. “I’m sure you will, Harriet,” Nine promised. So did Ten. They hugged her and then shook hands manfully with each other before disappearing into their respective police boxes. She wondered when she WOULD see them all again. Actually, it was less than a week later that she called them both and asked them to come back to Flydale. She was waiting in the garden when they arrived. Nine came alone this time. Ten still had Susan with him. She wasted no time bringing them all to the official car that was waiting for them all. “So, what’s the big mystery, Harriet?” The Doctor asked as they settled into the back of the roomy official government car. “I’m not entirely sure,” she answered him. “They’ve contacted Torchwood. It seems to be in their purview. But I think it was in yours long before they existed.” She smiled at the sarcastic noises both Doctors made and continued talking. The smell WAS gone now, Susan noted as they came into the big cave where they had eaten deer meat and tried to keep warm. She had no particular feelings either way for the people she had been forced to live with for a cold, nightmarish time, except to be glad they all died over 10,000 years ago. “This cave was blocked off by a fall many thousands of years ago,” said the head of the archaeology from the University of Leeds who met them down another tunnel to a lower cave. His students stood by, rather overawed by the visit of the Prime Minister. The two men who accompanied her looked somehow, even more important, though none of them could think why. They didn’t look impressive, one in a brown pinstripe suit and a long coat, the other in black denim and a leather coat that had seen better days. But they both seemed to exude an authority that even the Prime Minister didn’t have. “Yes, I can see why it would surprise you,” Ten said as he stepped through the gap. Nine followed him. Both looked around the cave and took in all the details before examining the mummified remains thoroughly with their sonic screwdrivers. They turned their attention to the rusting metal pieces of the time machine. They stood up and turned to leave. They both felt much the same thing. It was over. The Master WAS finally dead. He had cheated death for so many years. Even after they thought he was completely dead he had found ways to revive himself. But now they were sure neither of them would be bothered by him again. “It could have been different,” Nine sighed. “He could have been an ally, not an enemy. In so many ways, we were alike. Both rebels against the system, valuing our freedom, resenting interference. Why couldn’t he have seen that? “Yes,” The Doctor said and the summer sun seemed to warm him less. Because he knew something she didn’t. The Master was dead when he hit the floor of the console room. Susan had dealt him a fatal blow in her anxiety to protect Vicki. He had left a BODY behind in the cave when he dematerialised the TARDIS. He would rather have her think he had acted with uncharacteristic cruelty than have her know SHE had killed him. He would never let her know that. He looked at his counterpart. They both remembered people murdered in cold blood. They remembered the times The Master had cheated death and gone on to murder again. And he couldn’t feel sorry that he was dead. Harriet thought about some of the classified files she had read since she became Prime Minister. U.N.I.T. reports from the 1960s and 70s. The man they were talking about had brought planet Earth to the edge of destruction more times than she was comfortable with, and would have succeeded without The Doctor. The Doctor smiled. It was nice to be somebody’s hero.